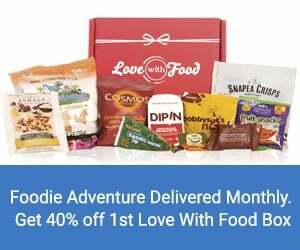 Love With Food delivers delicious monthly snack boxes filled with all natural and organic snacks. 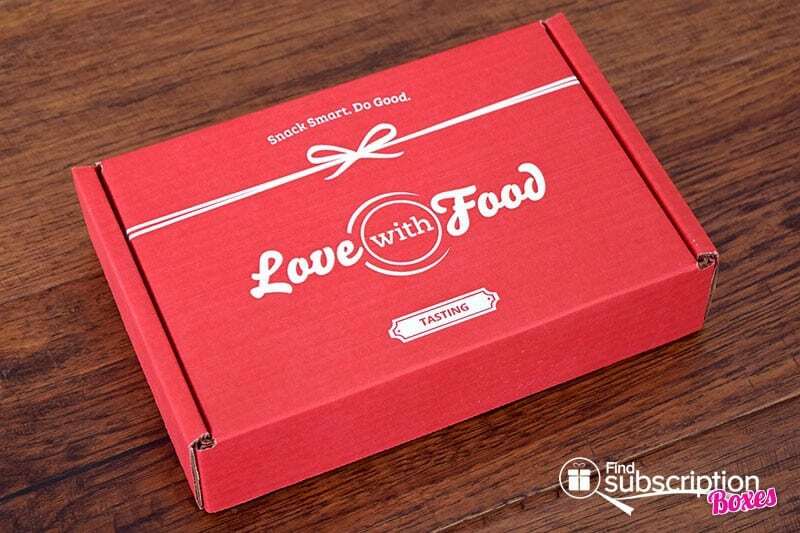 Every month, Love With Food snack boxes have a different theme. The Love With Food January 2016 theme was Love is Kind. 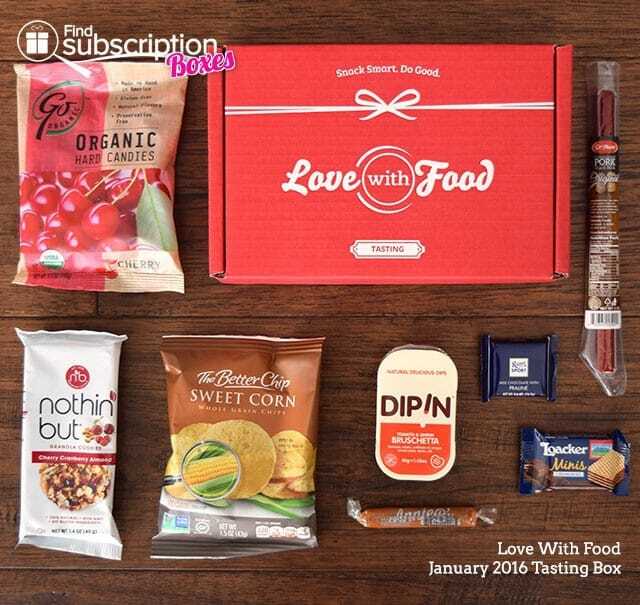 With today’s Love With Food review, we’re unboxing the January 2016 Love With Food Tasting Box. 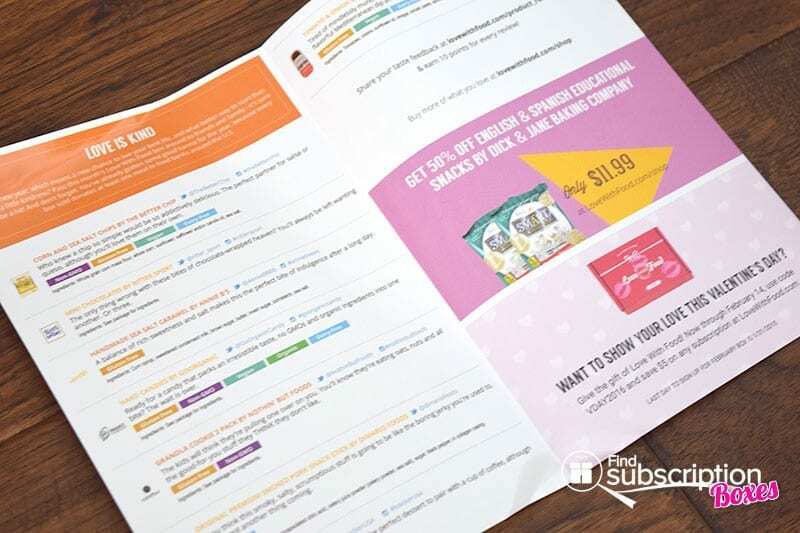 Love With Food includes a colorful brochure that shares information about that month’s theme and snacks. 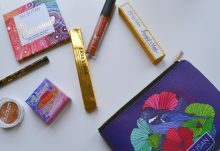 Here’s a first look inside our January Love With Food Tasting Box. 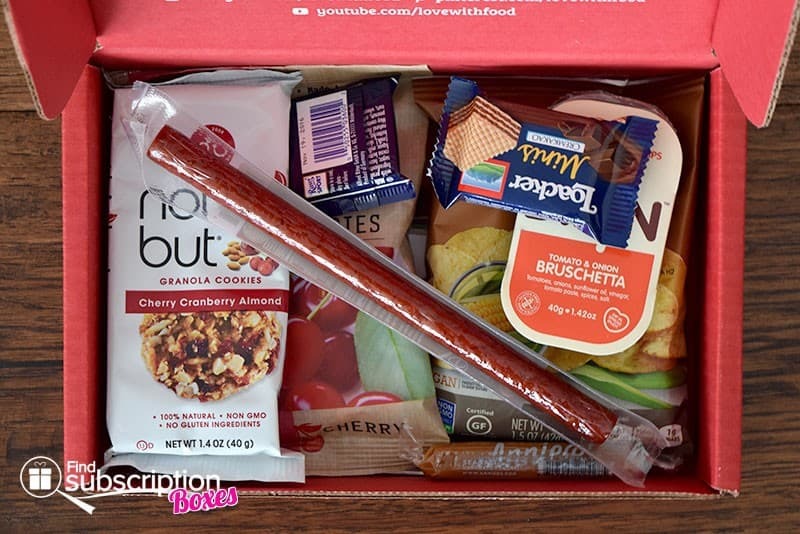 There were 8 snacks in the Love With Food January Tasting Box. Made with oats, nuts and 100% natural ingredients, these good-for-you cookies are great for the whole family. These vegan, whole grain chips are great as a snack or for your next salsa party. Made with no GMO and organic ingredients, these hard candies provide a guilt-free sweet treat. Satisfy your savory snack cravings with this smoked pork stick. Add some Mediterranean flavor to your snacking with this convenient dip. Enjoy this chocolate wafer treat with a cup of coffee or as a sweet dessert. 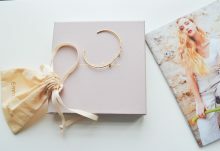 Get a delicious bite of chocolate and pralines with this individually wrapped-chocolate. Indulge in a sweet treat with this sweet and salty caramel. When it comes to introducing us to a variety of new, and delicious, snacks, Love With Food certainly delivers. The caramel, chocolate, and wafers were delicious sweet snacks for afternoon pick-me-ups. The granola cookies are unique, and healthier versions, of a popular treat. We loved the combination of sweetness from the cherries and cranberries with the crunch of the almond. The pork snack stick is great for either late-night snacks or to for that extra bit of protein. What was your favorite January Love With Food Tasting Box snack? 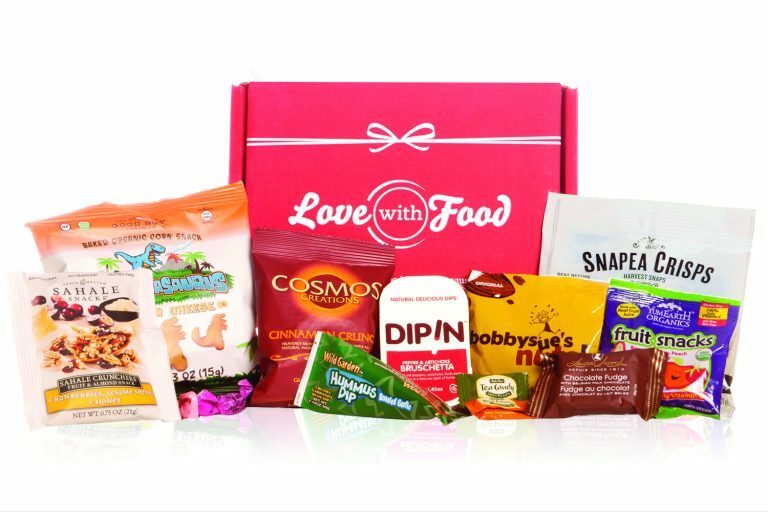 Get a sneak peek into February’s Love With Food box and subscribe by January 31, 2016 to reserve your Love With Food February snack box! For a limited time, save 40% February’s Love With Food Tasting Box or 50% off the Love With Food Gluten-Free Box. How would you rate Love With Food ?